This detailed report providing key issues and information for investors considering business operations in Vietnam has been provided by EDCON. Enterprise Development Consultancy Company Limited, a firm of lawyers and consultants, founded in 2002, specializes in providing high quality end-to-end services in Business consulting, legal advices and investment consulting services for project development to foreign investors. You are welcome to contact N.B.Nguyen for any inquiries you may have. Information in the following pages has been updated so that they are effective at the date shown, but inevitably they are both general and subject to change and should be used for reference only. For specific matters, investors are strongly advised to obtain further information and take professional advice before making any decision. 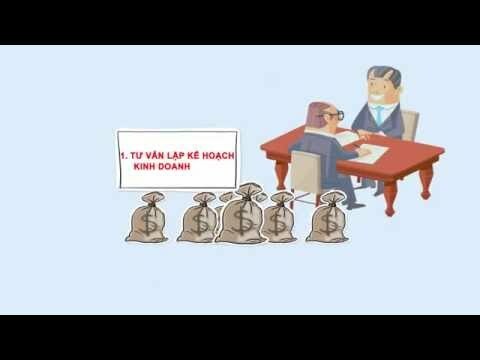 We look forward to helping you in doing business in Vietnam. Vietnam, or the Socialist Republic of Vietnam, is the easternmost country on the Indochina Peninsula in Southeast Asia. It is bordered by China to the North, Laos to the Northwest, Cambodia to the Southwest, and the South China Sea – referred to in Vietnam as the East Sea to the East. With an estimated 91.7 million inhabitants as of 2015, Vietnam is the 14th-most-populous country in the world, and the eighth-most-populous Asian country. Vietnam became independent from Imperial China in 938 AD. Successive Vietnamese royal dynasties flourished as the nation expanded geographically and politically into Southeast Asia, until the Indochina Peninsula was colonized by the French in the mid-19th century. Efforts to resist the French eventually led to their expulsion from the country in the mid-20th century, leaving Vietnam divided politically into two countries. Fighting between the two sides continued, with heavy foreign intervention, during the Vietnam War, ending with a North Vietnamese victory in 1975. In 1986, the government instituted economic and political reforms and began a path towards international reintegration (Renovation called Doi Moi). By 2000, it had established diplomatic relations with most nations. Its economic growth has been among the highest in the world since 2000, and according to Citigroup, such high growth is set to continue. Vietnam has the highest Global Growth Generators Index among 11 major economies, and its successful economic reforms resulted in it joining the World Trade Organization in 2007. However, the country still suffers from high levels of income inequality, disparities in healthcare provision, and poor gender equality. The Socialist Republic of Vietnam is a single-party State. The President of Vietnam is the titular head of State. The Prime Minister of Vietnam is the head of government, presiding over a council of ministers composed of four deputy prime ministers and the heads of 22 ministries and commissions. The National Assembly of Vietnam is the unicameral legislature of the state, composed of 496 members. Headed by a Chairman, it is superior to both the executive and judicial branches, with all government ministers being appointed from members of the National Assembly. The General Secretary of the Communist Party performs numerous key administrative and executive functions, controlling the party's national organization and state appointments, as well as setting policy. See Annex I: State organization structure. Vietnam offers a relatively new market. The industry and trade sectors make up a substantial part of business in Vietnam. Education, construction and agriculture also play a significant role. With political trust regained, and offering a wide range of governmental tax incentives in addition to its skilled and low-cost workforce. Since the early 2000s, Vietnam has applied sequenced trade liberalization, a two-track approach opening some sectors of the economy to international markets while protecting others. In July 2006, Vietnam updated its intellectual property legislation to comply with TRIPS, and it became a member of the WTO on January 11, 2007. Vietnam is now one of Asia's most open economies: two-way trade was valued at around US$ 328 billion, equivalent to 164% of GDP in 2015, more than twice the contemporary ratio for China and over four times the ratio for India. Vietnam's chief trading partners include China, Japan, Australia, the ASEAN countries, the United States and Western Europe. As a result of several land reform measures, Vietnam has become a major exporter of agricultural products. It is now the world's largest producer of cashew nuts, with a one-third global share; the largest producer of black pepper, accounting for one-third of the world's market; and the second-largest rice exporter in the world, after Thailand. The census of April 1, 2015, recorded the population of Vietnam as standing at approximately 91.7 million, of which the Viet or Kinh ethnic group constituted nearly 78.7 million, or 85.8% of the population. Vietnam's road system includes national roads administered at the central level; provincial roads managed at the provincial level; district roads managed at the district level; urban roads managed by cities and towns; and commune roads managed at the commune level. Bicycles, motor scooters and motorcycles remain the most popular forms of road transport in Vietnam's urban areas, although the number of privately-owned automobiles is also on the rise, especially in the larger cities. Public buses operated by private companies are the main mode of long-distance travel for much of the population. Total length of national road system is around 17,300 km, 85% of which is well surfaced by asphalt. Besides, the length of Provincial road is aroud 27,700 km, over 50% of which is asphalted. Currently, Vietnam's primary cross-country rail service is the Reunification Express, which runs from Ho Chi Minh City to Hanoi, covering a distance of nearly 2,000 kilometers. From Hanoi, railway lines branch out to the Northeast, North and West; the Eastbound line runs from Hanoi to Ha Long Bay, the Northbound line runs from Hanoi to Thai Nguyen and the Northeast line runs from Hanoi to Lao Cai. Vietnam operates 17 major civil airports, including three international gateways: Noi Bai serving Hanoi, Da Nang International Airport serving Da Nang, and Tan Son Nhat serving Ho Chi Minh City. Vietnam has several major sea ports, including Cam Ranh, Da Nang, Hai Phong, Ho Chi Minh City, Hong Gai, Qui Nhơn, and Nha Trang. Further inland, the country's extensive network of rivers play a key role in rural transportation, with over 17,000 kilometres (11,000 mi) of navigable waterways. Vietnam is divided into 64 provinces and central cities. Vietnam is located on the eastern Indochina Peninsula between the latitudes 8° and 24°N, and the longitudes 102° and 110°E. It covers a total area of approximately 331,688 km2 (128,065 sq mi) in area, excluding the Hoang Sa and Truong Sa islands. The combined length of the country's land boundaries including to Laos, Cambodia and China, is 4,639 km (2,883 mi), and its coastline is 3,444 km (2,140 mi) long. Vietnam's land is mostly hilly and densely forested, with level land covering no more than 20%. The official language is Vietnamese. Used are English, French and some others. The economy of Vietnam is a developing planned-market economy. Since the mid-1980s, through the "Đổi Mới" reform period, Vietnam has made a shift from a highly-centralized planned economy to a socialist-oriented market economy which use both directive and indicative planning. Over that period, the economy has experienced rapid growth of 7%/year on average. Nowadays, Vietnam is in the period of integrating into the world's economy, as a part of globalization. Almost all Vietnamese enterprises are SMEs. Vietnam has been rising as a leading agricultural exporter and an attractive foreign investment destination in Southeast Asia. The Gross Domestic Product (GDP) in Vietnam expanded 7.01% in the fourth quarter of 2015 over the same quarter of the previous year leading to 6.68% for the whole year of 2015. GDP Annual Growth Rate in Vietnam is reported by the General Statistics Office of Vietnam. Historically, from 2009 until 2015, Vietnam GDP Annual Growth Rate averaged 6.12% reaching an all time high of 7.01% in December of 2015 and a record low of 3.12% in March of 2009. By the end of last year, Vietnam has a work force of 45.3 million, three-fourths of which is in rural areas. 32% of the Vietnamese labor force is trained with 14.4% having undergone short training courses. A report on the labor market released by the ministry shows that Vietnam is severely lacking in highly skilled labor and service workers in the fields of finance, banking, tourism and salesmanship. This shortage has prompted companies to turn to foreign human resources in spite of their high costs. In the labor export sector, Vietnamese guest workers in foreign countries are mostly low-skilled.